The forklift is relatively simple to control as it only has a few mechanisms. The difficulty is in using these in tandem to complete the job at hand. Tutors at the TGS Forklift Training in Kent spend plenty of time on teaching you how to control the vehicle since this is often the hardest part for new learners. Standard models have pedals to control the acceleration and braking mechanisms. A number of levers in front of the driver’s hands control the crane operation. Learning to move these together with the acceleration is one of the most difficult techniques. The accepted way of using the machine is to place to forks low on the ground and to accelerate slightly so only the forks go underneath the load. Drivers use the levers to raise the crane and lift the load into the air. Through careful and controlled driving they take their load to the correct destination and lower the load. They reverse to bring the forks out before moving on to the next job. Only by perfecting this technique can learners pass their final exams. Counterbalance forklift training is much more complicated than conventional forklift training since it’s significantly more delicate as a process. Firstly, it’s important to understand exactly what a counterbalance forklift is, and this is something tutors elaborate on before delving into how to effectively use them. 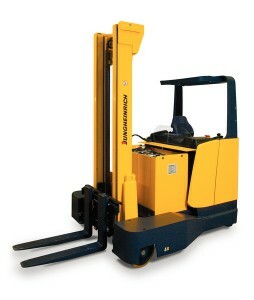 The counterbalance forklift is named as such because it uses a weight to alter the load balance. It spreads loads evenly across the arms of the vehicle. It’s also projected further outwards from the machine enabling the driver to see exactly what’s in front of them. The reach truck is a narrow aisle (8′-10′) truck designed specifically for racked pallet storage within warehouses. It consists of outriggers in front and telescoping forks that use a hydraulic scissors-type mechanism that allows you to pick up the load and retract it over the outriggers. This reduces the overall truck and load length, allowing you to turn in a narrower aisle. Double-deep reach trucks use an extended reach mechanism which allows you to store pallets two deep in specially designed double-deep rack. Reach trucks are designed for racking areas only and do not work for loading trucks or quickly moving loads over distances. Electric powered pallet trucks are most commonly found working in warehouses and loading goods vehicles via dock levelling loading bays, they come in various styles and can be pedestrian operated, rider operated with a stand on platform or in some cases both where the platform can be folded up to allow pedestrian access. A telescopic handler, or tele-handler, is a machine widely used in agriculture and the building industry. It is similar in appearance and function to a forklift but is more of a crane than a forklift, with the increased versatility of a single telescopic boom that can extend forwards and upwards from the vehicle. On the end of the boom the operator can fit one of several attachments, such as a bucket, pallet forks, muck grab, or lift table. The most common attachment for a tele-handler is forks and the most common application is to move loads to and from places unreachable for a conventional forklift. For example, tele-handlers have the ability to transport pallets from ground level and place on rooftops and other high places. 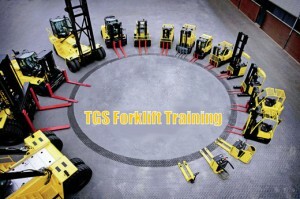 TGS offers Forklift Training services for all types of materials handling, workplace transport and mobile plant equipment, Counterbalance or Reach Truck forklift training in Kent. Our extensive experience and accreditation gives our customers the assurance that the service they receive from us is always of the highest standard and ensures compliance with the latest ‘best practice’ and legal requirements for forklift truck training in Kent and the UK. Our Kent Forklift Training customers range from small companies, who have basic requirements for training a few operators, to large companies who have a need for larger scale, volume training which meets their logistical and time-pressure requirements. We also offer forklift training in Kent for private individuals on a self-sponsored basis at our Kent Forklift Training centre. Refresher reminders are sent to our customers every year for all delegates who are due for a refresher assessment. Need a Counterbalance, Reach Forklift, Bendi or Flexi Forklift Training Licence? Our ITSSAR forklift training licence is ideal for self sponsored private individuals, people funded through a charity or Job Centre as well as for companies upskilling their workforce, with a choice of forklift training on offer in Kent. 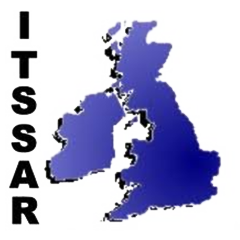 Our ITSSAR forklift training instructor is very experienced, with over 15 years of Forklift Training in Kent and fully accredited by the relevant governing bodies. Our administration and support staff appreciate that you’ll be looking for a simple process for booking courses. Were here to make sure that you get the training you need from a business that does the things is says it will.